Want an EASY Valentine’s Day? From breakfast to brunch, and beyond, Melissa’s Produce is always there to provide us with the freshest seasonable produce: Cactus pear for a sweet coulis over tequila poached pears. Ripe organic peaches for a spicy hot wing glaze. Tropical passion fruits for a tart vinaigrette. Spiced Forelle pears for a fall pie. And who can forget the fresh edible flowers that topped our wedding cake? We are head-over-heels in love with Melissa’s Produce. 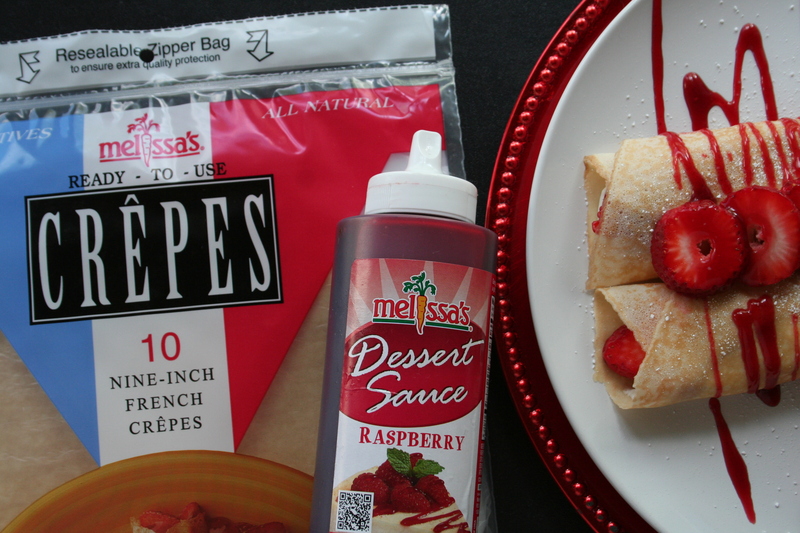 We recently got our hands on some Melissa’s Produce ready-to-use crepes and their raspberry dessert sauce. 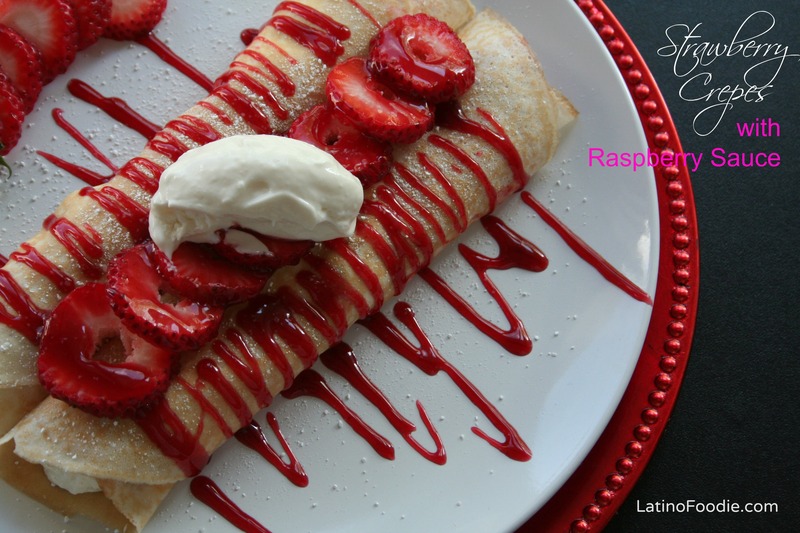 With a busy smooch-filled Valentine’s Day just around the corner, warm crepes filled with cream and fresh fruit are a great way to stir romance. No recipe needed! Room temp, warm or cold, crepes can be served any way you prefer. I enjoy them warm, filled with whipped cream and fresh fruit. A quick dusting of powdered sugar and a drizzle of Melissa’s raspberry dessert sauce is all you need to seal the deal.